a further 11 volunteers to the team since our last update. 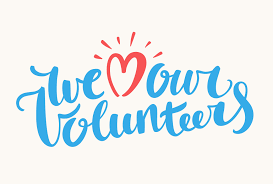 Volunteers are at the heart of everything we do and without whom none of the positive impacts we make to people’s lives across the range of activities that we deliver would be possible. Tamworth is proud of its voluntary sector; recently Councillors praised the sector for its commitment and energy to improve the town at the recent State of Tamworth Borough Debate. Having the resources to support the voluntary sector is important that’s why we are supporting work at Staffordshire University to encourage community organisations to be able to register what resources they are able to share via an app whether that be equipment, knowledge and skills and if an organisation shares it resources then the reciprocal organisation then offers something back a bit like banking time. It would be fantastic to have a platform that when needing help to deliver activities or developing a project there was a place to go to see if the resources you need were available before having to apply for external funding. We continue the work in tackling loneliness and isolation across Tamworth and we know that there are a wealth of activities across Tamworth already happening both formally and informally that help connect people and reduce isolation. For the past 2 and a half years across Tamworth our Positive Steps Project which sees volunteer Support Buddies supporting people in the community offering practical help and befriending. This support helps people to move forward, be connected and reduce their isolation as well as improving their mental and physical health. We met with Tamworth’s MP Christopher Pincher recently to update him on this work and discuss the National Strategy around loneliness that is being developed as a result of cross party work in Westminster and how the good work that is taking place in Tamworth can be fed into the strategy developing a coordinated approach working with statutory services to get the best outcomes for people most at risk of loneliness and isolation. Community Together CIC is also supporting the continuation of Tamworth’s Employment Action Group which is made up of key partners looking at tackling worklessness. This networking group discuss the barriers to people accessing employment and shares information and joint working opportunities. Due to recent changes and recognition of the value of the group provides in supporting people in Tamworth to gaining sustainable employment we are looking to ensure that the group continues and provides the necessary resource to do this. We see the value of partnership working and with this in mind over the coming month Community Together CIC will be working in partnership with a number of organisations to deliver a number of community events. On 1st May we are hosting our first Staffordshire Day Event. This will take place between 10am to 3pm at our Hub in Tamworth Castle Grounds. The event will see us attempt the record at making the biggest Staffordshire Oat Cake where the current record stands at 24 inches in diameter, we will also be providing a special afternoon to a local residential home as well as providing people a free opportunity to make their own Staffordshire Oatcake. We are joining up with Tamworth Macmillan Volunteers in hosting our 2nd Tamworth Dog Walk which will take place on Sunday 24th June 2018. The event will take place again at our Hub in Tamworth Castle Grounds with registration from 11am and the official walk starting at 12pm covering 2 miles. The event will help raise funds for Tamworth Macmillan and Community Together CIC. We are encouraging people to be sponsored for their walk and we are being supported by Pets at Home, The Groom Room who are providing free goody bags to all entrants, Oscars Pet Food providing free treat bags, each dog will receive a medal and certificate for taking part and we will also have First Aid for Dogs doing First Aid for Dog Demo’s as well as stalls from The Dogs Trust. We are working with Tamworth’s Cycling Community to put on Tamworth’s first Cycling Festival on Saturday 30th June 2018 11am to 4pm. The event has everything for beginners to experienced riders and we have a number of partners taking part including British Cycling Foundation, Tamworth BMX Club, Tamworth Cycling Club, Staffordshire County Council Bike Bus, Tamworth Mountain Bike Club, Dave Owen Cycles, 2 Wheels Only, Tamworth Borough Council, Staffordshire Police, and of course Community Together CIC. There will be lots of activities including Bike Safety, Bike Maintenance, Give Away’s, Stalls, Fun Friendly Rides around the Castle Grounds, a Wheelie Competition, Cycle Proficiency, Children’s activities, refreshments, Live music and lots more. It’s a Free Event and Thanks to Dave Owen Cycles who are donating a Bike to be won in a free raffle for people attending on the day. Over the coming months Tamworth’s British Heart Foundation volunteers will be attending our Community Café session promoting maintaining a healthy heart and the work they do at their shop in Tamworth. We are seeing increased numbers of people accessing free fresh food at our Hub in Tamworth Castle Grounds. We receive weekly donations from local stores and supermarkets which we use to support our cooking sessions and befriending luncheon club and then the remainder is available for the community to come and take. It’s proving a popular service and we are now putting out recipe ideas for people to use the produce at home. Our Cook Together Eat Together sessions continue, and people of all ages come together on a Monday 4pm to 6pm at our Hub in Tamworth Castle Grounds and work together creating healthy meals that are then enjoyed together. It has proven a great way to bring all ages together, people making new friends and learning cooking skills. As well as our Hub in Tamworth Castle Grounds we continue to reach out to the wider Tamworth community providing outreach activities across Tamworth including Community Café Drop In sessions, Seated Exercise Classes, and Job Club Support. A full Timetable can be obtained at any of our sessions which includes all the community activities we provide across Tamworth, you can also visit our website www.communitytogethercic.org.uk or email ctciccinfo@gmail.com and call us on 01827 59646. Thank you to everyone who continues to support us in any way. Help Community Together CIC to help others.